Something about black and white snow scenes that I just love. 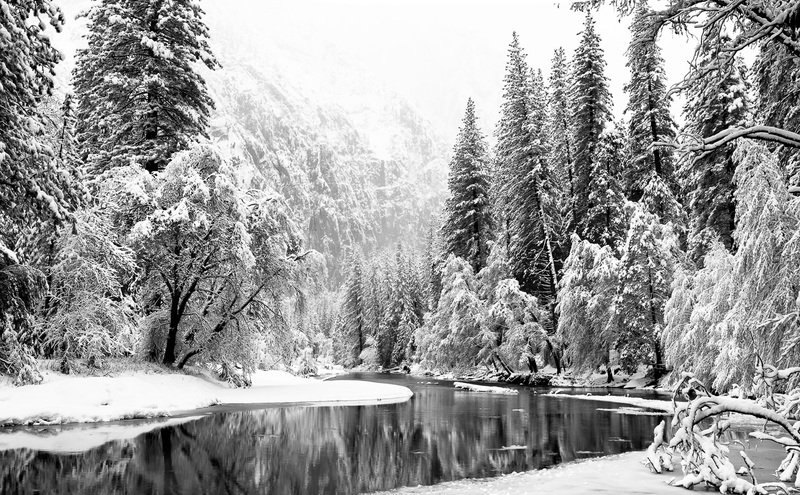 When Yosemite gets snow you just feel like a kid again and soak up every moment of the event. However, to transform the scene into black and white brings back another period of time. Different and equally enjoyable. Photo © copyright by Lance B. Carter.